Multi-instrumentalist singer / songwriter HANNAH PEEL launched her new ‘Fabricstate’ EP with a special intimate gig at MemeTune Studio, home of chief Mathematician BENGE and his renowned collection of vintage synthesizers. It also happened to be where her second album is currently being recorded. In the complex, which was the venue for interviews with GARY NUMAN and JOHN FOXX as part of BBC4’s Synth Britannia documentary, were various items of vintage equipment dotted around the room such as the Polymoog and Korg Polyphonic Ensemble; it was a perfect setting to showcase HANNAH PEEL’s newly developing sound that has mutated to more experimental climes since her traditionally structured debut album ‘The Broken Wave’. Since playing with the JOHN FOXX & THE MATHS live band, her own music has used more electronics alongside her beloved violin, piano and trombone. Her last EP ‘Nailhouse’ featured a beautiful synth friendly song called ‘Harbour’. Of course, HANNAH PEEL’s own sweet contemplative voice has also suited these melancholic synthetic soundscapes. ‘Fabricstate’ itself has been influenced by Hannah’s love of classic cinema and Italo Calvino’s 1972 book ‘Invisible Cities’ with the imagined travels of Kublai Khan, through to the loneliness felt by living in big cities, the failure and building of new relationships and to dreams of a better future. So it was apt that the performance opened with ‘Chloe’, the theme tune to ’Dates’, a drama series highlighting the darker but very real side of internet dating… it deservedly won a 2013 Royal Television Society award for Best Original Title Music and its eerie dynamic suitably reflected the tension of the programme. The haunting ‘Silk Road’ with its Middle Eastern afflicted vocal was ideal for the hushed environment of an intimate setting. Clavia Nord ivories rang gently while arpeggios blipped over subtle rhythmical samples that provided the heartbeat. Upping the tempo and rumble, ‘Desolation Row’ and its beautifully haunting tones saw brass and strings of both the real and synthetic variety combining for a wonderful uplifting quality despite the inherent melancholy. There was then a surprise when Hannah announced she was going to perform a music box assisted cover of THE BLUE NILE’s Paul Buchanan from his recent ‘Mid Air’ solo opus. But tied to her synth duties, she invited a member of the audience to join her. The lucky volunteer operating this hand driven antique sequencer was Lindon Lait of A PINT OF CURRY and together, they produced a rather lovely electro acoustic take of an already beautiful song. It is slated to be included on her next album. ‘Baucis’ from the ‘Nailhouse’ EP stirred proceedings slightly after the sedate atmospheres of ‘Cars In The Garden’ with its expletive laden first verse but the best was yet to come. So with its thoughtful use of synths and loop pedals, ‘Fabricstate’ the song went and stole the show. A subtle understated number in its first half, the song was bolstered by an unexpected but amazing whirring solo on a DS Mopho x4 as things built to a percussive climax with clusters of accompaniment from the various loops. It was a suitably climatic ending to a fine, captivating performance. The ‘Fabricstate’ collection is without doubt, HANNAH PEEL’s best solo work yet. A fine example of what happens when the warmth of the synthesizer is exploited and coupled with a classically trained background, the hybrid style has resulted in a quietly subversive organic and technological fusion. Based on the evidence of tonight’s showcase, her second album is going to be a fascinating listen. 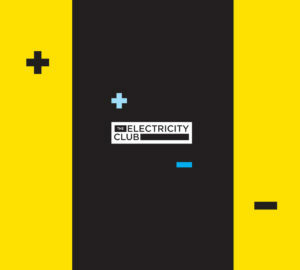 The Electricity Club for one, cannot wait.